Padmasambhava means "the lotus-born", and this famous Buddhist teacher is always depicted seated on a lotus flower. 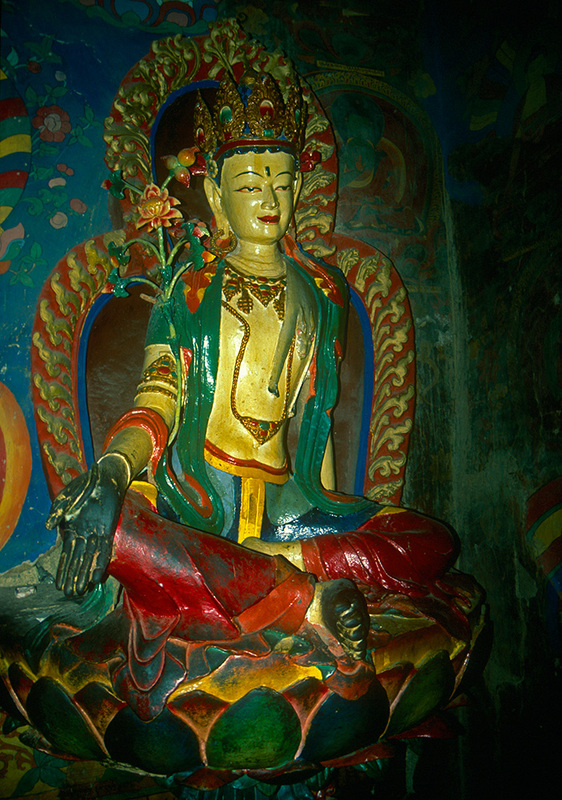 The Tibetans call him Guru Rinpoche, and he was instrumental in the spread of Buddhism in Tibet during the 8th century. This statue is at Shigatse.